The Boston police detectives banged again on the apartment door, certain that the kidnapped young woman was inside, and again they got no answer. They summoned a maintenance worker with keys, but the man they believed was holding the woman had installed an extra lock. The detectives couldn’t wait. They had no idea what the man was capable of. They decided to drill their way in. As the top lock gave way, they heard the clicking of the other locks, opening from the inside. When they burst into that Charlestown apartment on Tuesday, there was 23-year-old Olivia Ambrose, sobbing, horrified, but — incredibly — alive. And there was Victor M. Pena, 38, standing in the kitchen, ready to fight, according to a police report. Three officers rushed him and wrestled him into handcuffs; four officers swept inside and ushered Ambrose out. The dramatic rescue ended a frantic citywide search for Ambrose, who three days earlier had walked out of a downtown bar and allegedly into the arms of a man with an erratic violent past. 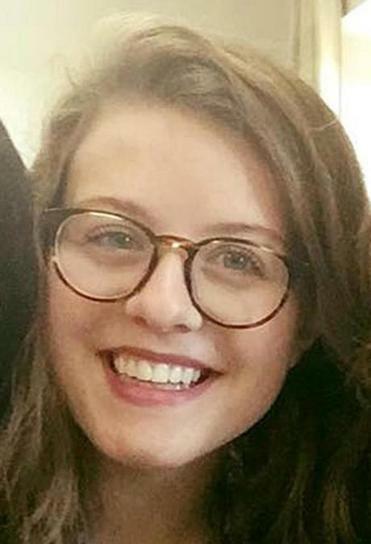 Police had first glimpsed Pena on surveillance video shot late Saturday night, following Ambrose as she walked down Congress Street, and then wrapping his arm around her to guide her to his home. 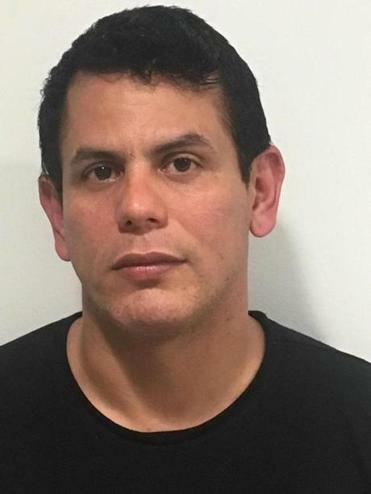 On Wednesday, as details of the crime and investigation emerged, so too did a clearer picture of Pena: a man who for years lived on the fringes of society, passing through homeless shelters before landing in public housing, where a relative said he hoarded books and stuffed animals. He left a trail of terrified women and encounters with the law in his wake. At least one ex-girlfriend accused Victor Pena of sexual assault, according to court documents. Pena sobbed and appeared to talk to himself in Charlestown Municipal Court on Wednesday as a plea of not guilty was entered on his behalf to a charge of kidnapping. He was ordered to undergo a mental competency evaluation at Bridgewater State Hospital. A court psychologist testified that when she spoke with Pena, he sucked his thumb and prayed for forgiveness, claimed to hear voices, and reported being forced to snort cocaine in the past. She said he did not appear to know why he was in court but also that he may have been exaggerating some of the symptoms of mental impairment. Victor Pena in court on Wednesday. 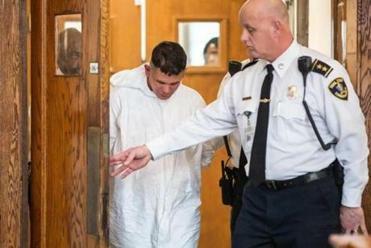 In interviews with the Globe, Pena’s older brother said Pena’s mental capacity was sharply reduced at about 7 years old, when his family found him in his room suffering from a medical problem that had cut off oxygen to his brain. The brother, Jose Pena, insisted that the alleged kidnapping had grown out of a misunderstanding. “Him kidnapping her, I’m 100 percent sure he didn’t,” Jose Pena said. Victor Pena called his older sibling from jail Tuesday night at around 11 and explained his version of events, Jose Pena said. Jose Pena, who lives in New Jersey, said his brother told him he met Ambrose Saturday night, and she went willingly to his apartment and spent the night. On Sunday morning, Jose Pena said his brother told him, Ambrose said she was afraid her father would be mad and decided to stay. Jose Pena said that his younger brother was a hoarder, stuffing his apartment with books, papers, and toys, and that his brother told him Ambrose was cleaning it for him. He said Victor told him he had left the apartment while Ambrose was inside. Jose Pena denied that his brother ever hurt or sexually assaulted any woman and said that his brother’s problems with women sometimes arose because of his mental problems. “He can be like, staring at you, but he’s in his own world,” Jose Pena said. Jose Pena said he and Victor were born in New Jersey but grew up in Puerto Rico with a single mother and three sisters. Both their parents and one sister are dead, he said. Another sister had once lived in Boston and took care of Victor, but she had moved away. Pena did not work because of his disability, his brother said. Court documents dating back 15 years show that Pena had long been accused of threatening and attacking women. Pena had tried to break into her apartment, circled her building hurling insults, and called her every day up to 10 times a day, leaving messages, she wrote. No criminal charges were filed against Pena in connection with her allegations. A few years later, in 2008, another woman, who had a child with Pena, accused him of trapping her in his sister’s house during a fight. He shut the door, told her she wasn’t going anywhere, and grabbed her neck, she wrote in her application for a restraining order. No criminal charges were filed. A third girlfriend wrote in a 2013 restraining order application that Pena punched her and began calling and messaging her with explicit and humiliating sexual taunts when she broke off their two-month relationship. He broke into her car, she wrote, and threatened to poison her dogs. No criminal charges were filed. One of the women who filed a restraining order against him said she dated him briefly in 2012 but he quickly began doing strange things, accusing her of stealing and hoarding random objects like old cellphones. Finally, she broke up with him after he approached her in his apartment one day, his hand behind his back like he was hiding something. “He said, ‘I’m going to ask you a question: How would you like to die? slowly or quickly?’ ” she said. She fled the apartment and never returned. 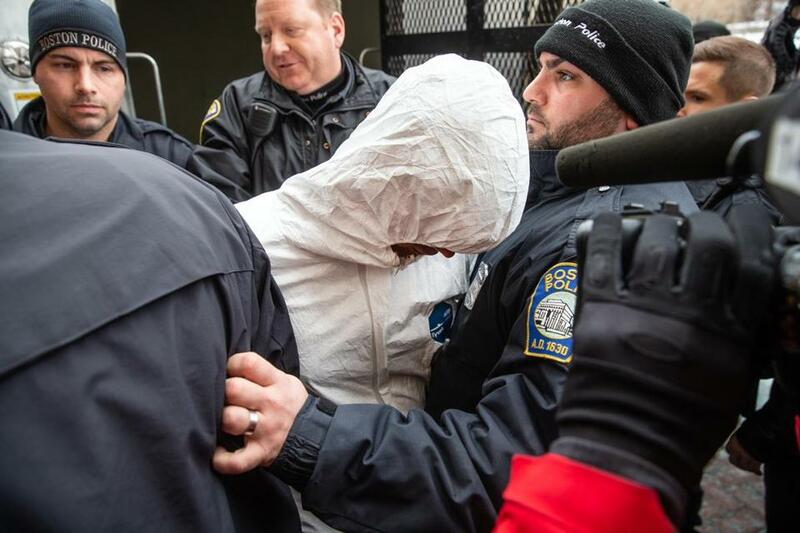 In the housing project in Charlestown where Pena had lived for about a decade, residents described a bizarre and frightening man known for hurling feces from his window and jeering at young girls. Transit police also had multiple run-ins with Pena over the past 10 years, including one 2009 instance when a woman reported that he had followed her on the subway and tried to look up her skirt. He was ejected from the station but not arrested. Pena was again near a subway station on Saturday night, when police say he encountered Ambrose. Ambrose had been at the bar Hennessy’s with her twin sister and some friends to see a rock band and left around 11 p.m. Surveillance cameras picked her up staggering across the street at Congress and North streets, with Pena following a distance behind, according to a police report. By about midnight, he had caught up to her, according to the report, and put his arm around her waist. Police have said he appeared to direct her toward a State Street subway station. When Ambrose did not answer phone calls on Sunday, her twin sister used a tracking app to locate her phone at Walford Way and Corey Street, the location of the Charlestown apartment building where Pena lived, at about 12:30 p.m. The sister reported Ambrose missing a few hours later, at 5:23 p.m., and told police her phone had pinged in the Charlestown area, according to a police report. Police officers spent that night and Monday scouring Charlestown for Ambrose and the cellphone, which had been shut off, according to a law enforcement official. Boston police released a picture of Ambrose to the public on Monday. On Tuesday, they released the picture of Pena taken from surveillance cameras at the MBTA. Victor Pena arrived in police custody before his arraignment at the Charlestown Division of the Boston Municipal Court on Wednesday. By early Tuesday afternoon, officers were deployed to Charlestown to canvass the neighborhood for Ambrose, according to a police report, and found residents of Pena’s building who recognized his picture. As the detectives gathered outside the apartment, they got word that Ambrose’s mother was receiving text messages from her daughter’s phone. Police were able to pinpoint the location of the phone, in Pena’s apartment complex, according to the police report. They started knocking and summoned the maintenance man with the drill. After the arrest Tuesday, residents of the complex were sickened, but not shocked. One young woman said Pena had tried to lure her teenage cousin inside his house, but the girl had run away. On Monday, she said, she had been house-sitting for her grandparents, who live directly below Pena. All of a sudden, at about 6 p.m., she said, extremely loud reggaeton music began playing from his apartment. It went on for 15 or 20 minutes, she said, and then stopped as abruptly as it had begun. Travis Andersen, John R. Ellement, Danny McDonald, and Andy Rosen of the Globe staff contributed to this report. Evan Allen can be reached at evan.allen@globe.com.